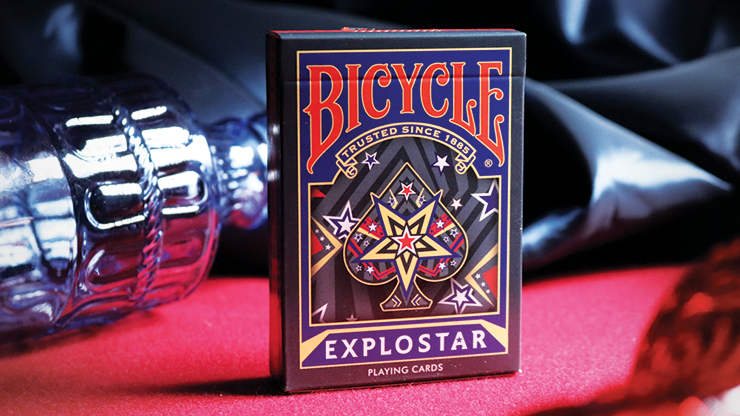 Today, when you order "Bicycle Explostar Playing Cards", you'll instantly be emailed a Penguin Magic gift certificate. You can spend it on anything you like at Penguin, just like cash. Just complete your order as normal, and within seconds you'll get an email with your gift certificate. 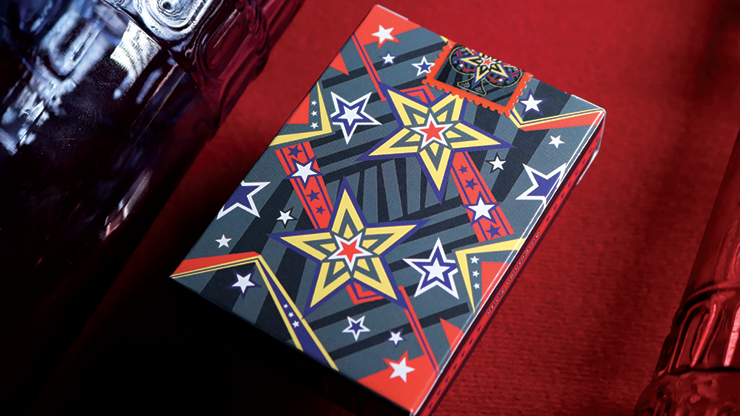 CPC's first Cardistry deck makes one of the most visually pleasing designs ever! 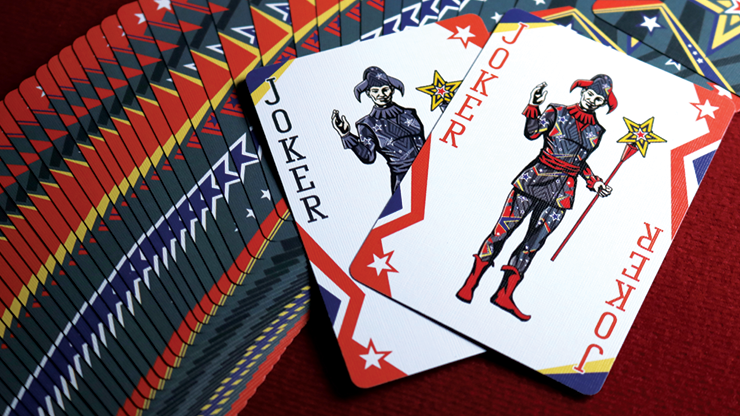 Now perform revolutionary forms of card manipulation known as Cardistry. 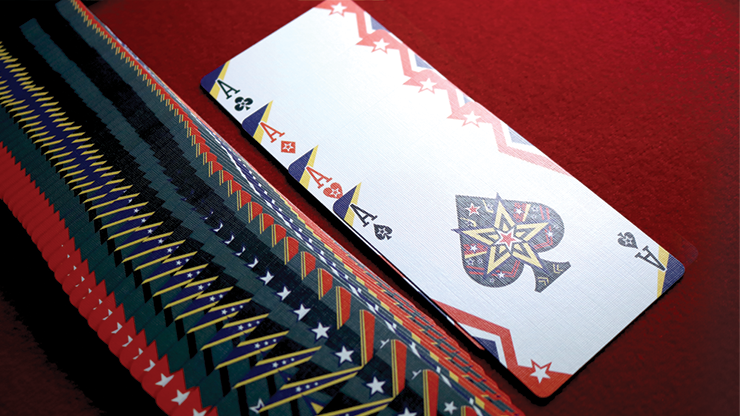 The signature back design is a stunning change of pace from a normal fanned deck. A lot of thought and exquisite design detail was put into the making of this fantastic fan back! The amazing abstract shapes and figures pair perfectly with the vibrant color scheme. 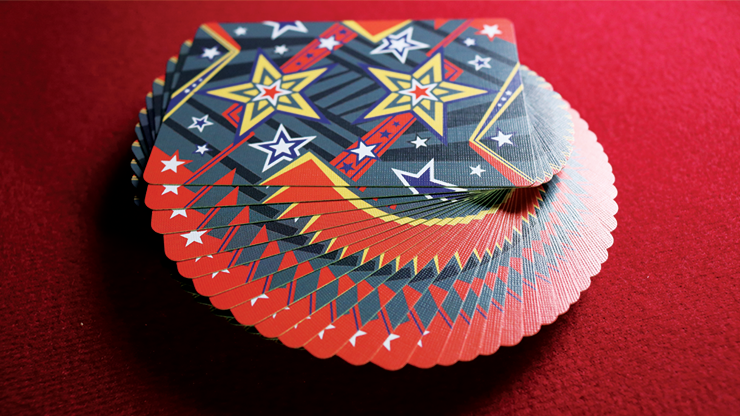 The back cards burst through like fireworks and twirl as the fan spreads, completing its full effect. 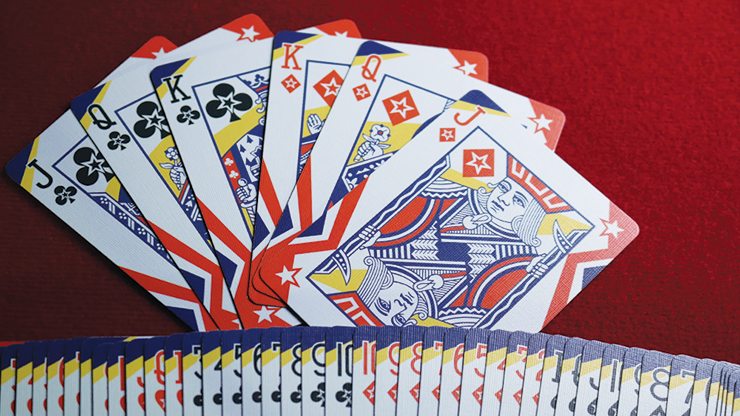 The back cards bleed to the front of the court and numbered cards as well. Therefore, the fan on the front is just as stunning as the fan in the back!